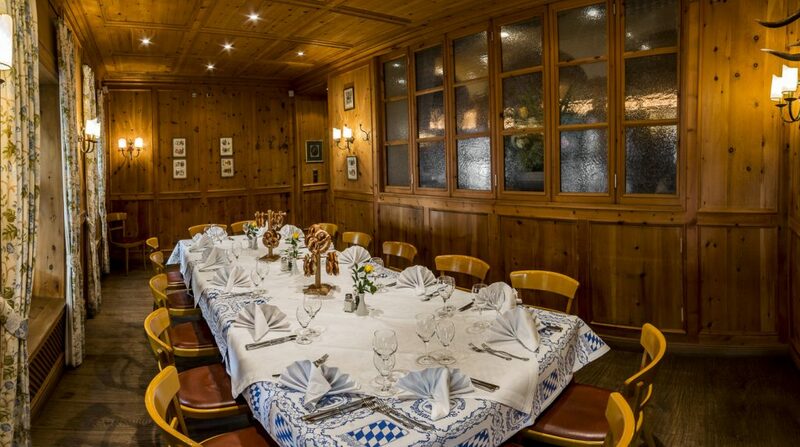 The Zirbel-Stüberl is reserved for your event, and your event alone. 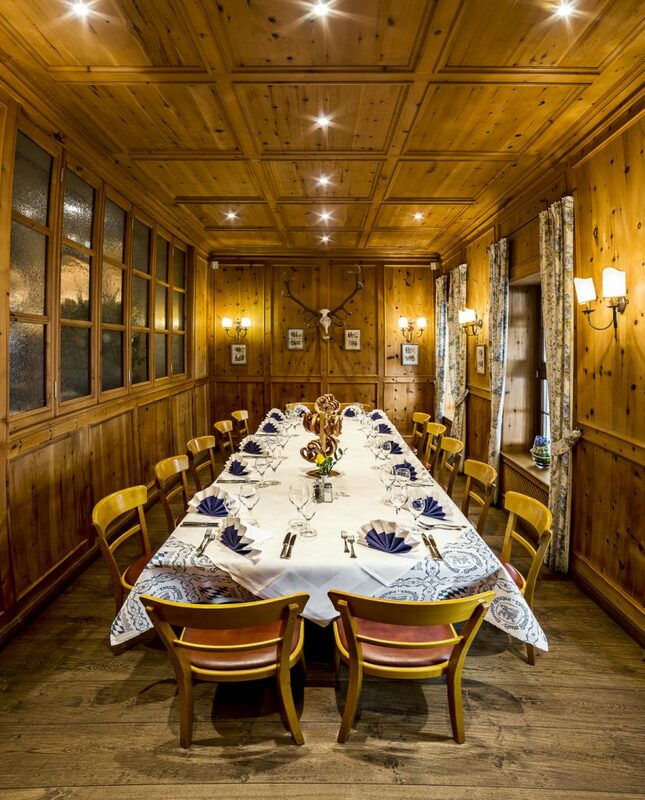 We offer you a festively decorated banquet table that seats 20 people. Celebrate, hold a conference, or propose marriage in this private, undisturbed space. We’ve seen it all. The Zirbel-Stüberl’s floor space measures 19 square meters (6.2 meters long and 3.1 meters wide). 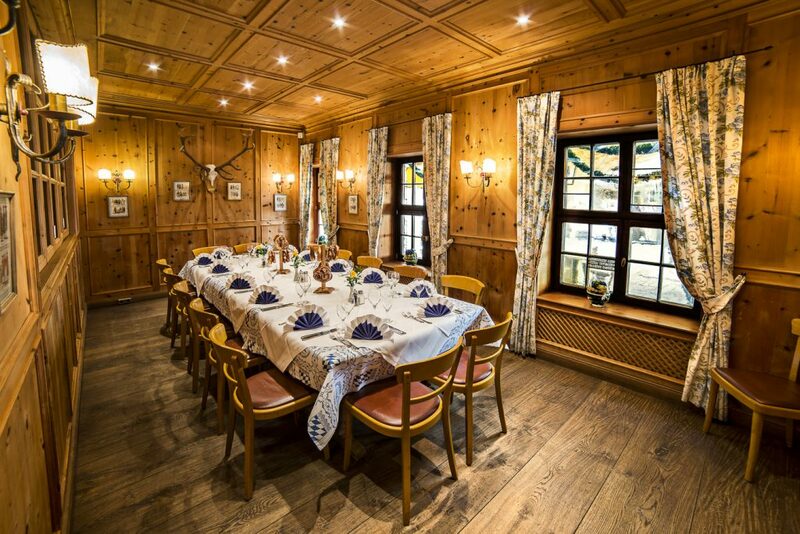 What is “Zirbel” wood (Swiss stone pine)? The Swiss stone pine is native to the Alps. That’s where the trees were felled so that their wood could be used here at the Franziskaner. Thanks to how straight they grow and how long they retain their scent, this wood is an especially exclusive material for interior design and a cozy setting. And that’s exactly what you’ll find here. See for yourself – pay us a visit! Adjustable lighting and an excellent sound system allow you to create any mood you like. We look forward to your visit. Contact us via e-mail at: reservierung@zum-franziskaner.de or give us call at +49 89 23181266.